I’ve not seen other places in Florida, but Miami is the most interesting Floridian city to me. The high rise buildings a few meters across a beautiful white sand beach and aqua blue water is an amazing sight. Plus, the notable Spanish ambience caught my attention. Everyone can look like real Americans but when they speak, I got confused. People speak Spanish in the hotel, in the streets, at the pubs, at the beach. They speak fluent English too so I’m really puzzled where these locals (or could be migrants) really came from. I have only had a bloody short 2-day visit as the next day was my flight going back to Singapore. I was just interested to experience the fuzz in the city and eat Cuban food. 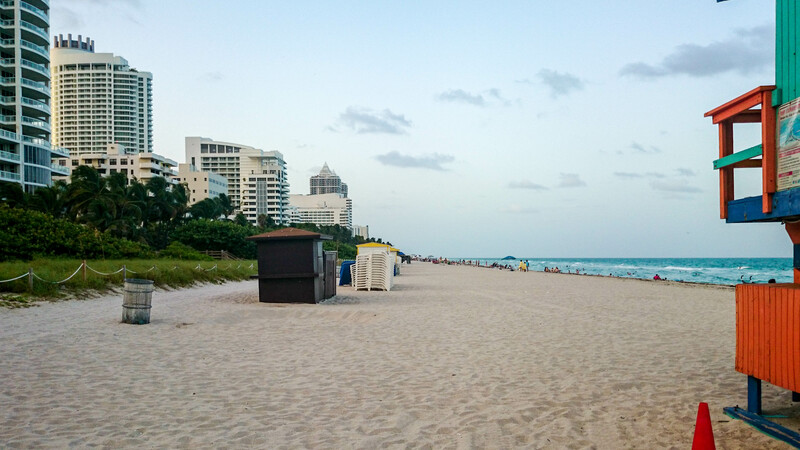 The popular South Beach (SoBe) was really worth my visit. The popular Ocean Drive which has nice architecture on one side and the sight of the beach on the other was also great to see – the people and cars passing by, the loud music, giant glasses of frozen margaritas topped with 2 bottles of Corona beer, and the lights that all go crazy fun at night. 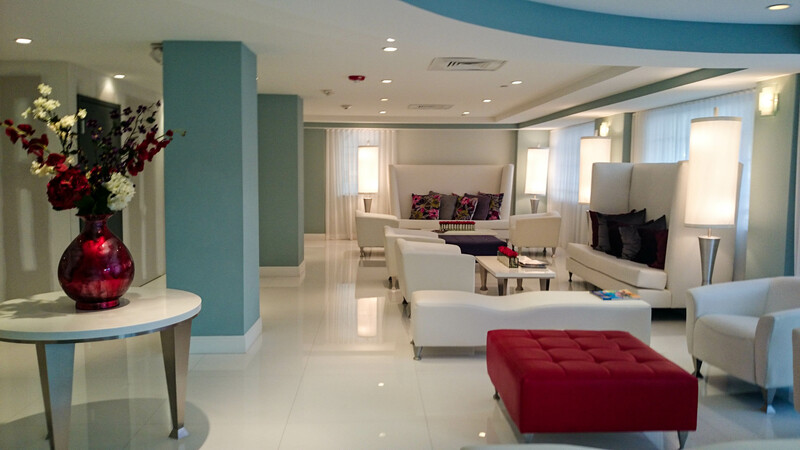 I had a very pleasant stay at Westover Arms hotel which cost me a little over $100 per night; a typical budget hotel in Miami Florida can cost something like that. 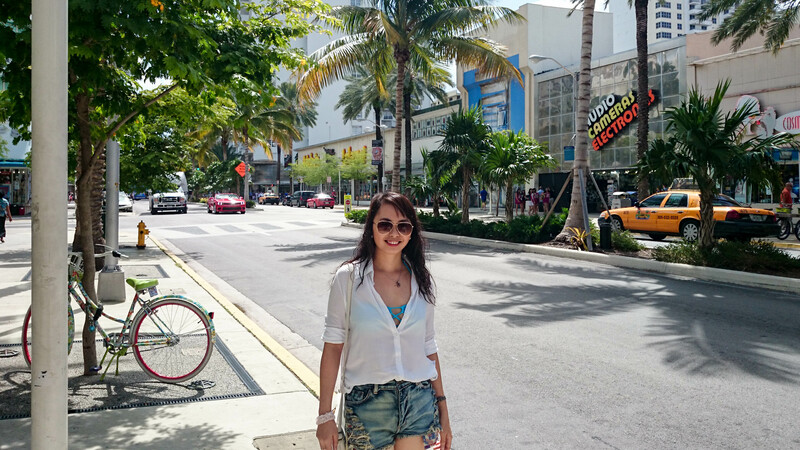 I enjoyed the long stroll under the heat of the Florida summer sun along the Lincoln Road and shopped for a few pairs of bikinis I would love to wear in South East Asian beaches. 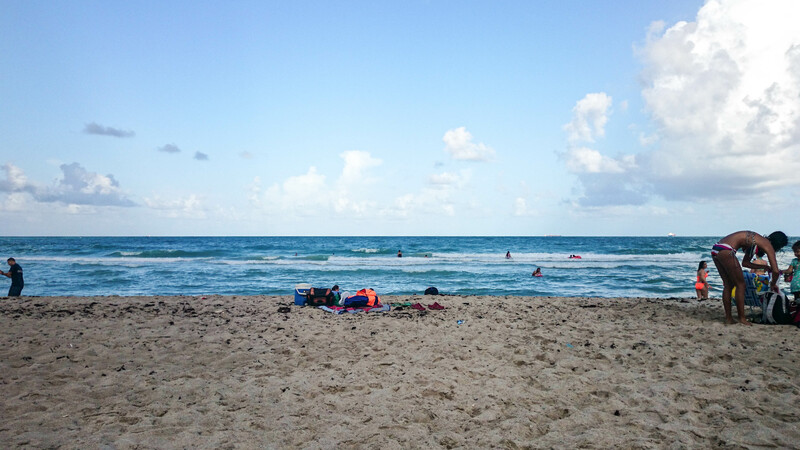 And what makes my Miami, Florida stay worth writing? 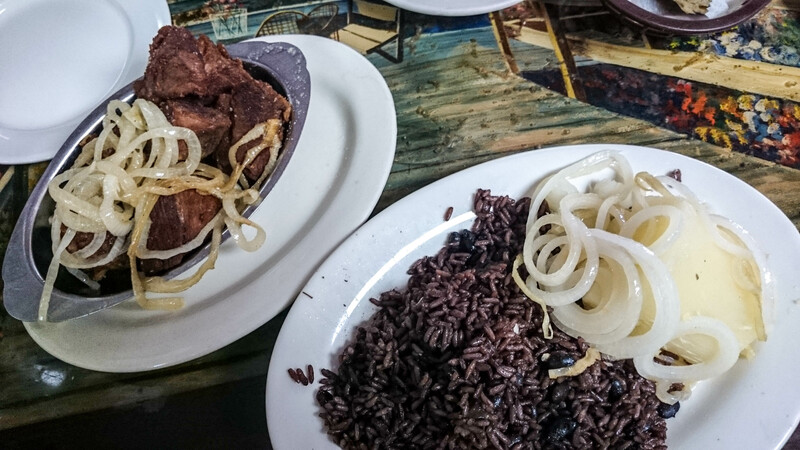 That super duper yummy pork dish I had at a popular Cuban restaurant – Puerto Sagua. The queue was long when I decided to have lunch there but it was worth the wait. Aaaah, now I’m salivating. I’m such a rice and pork lover. 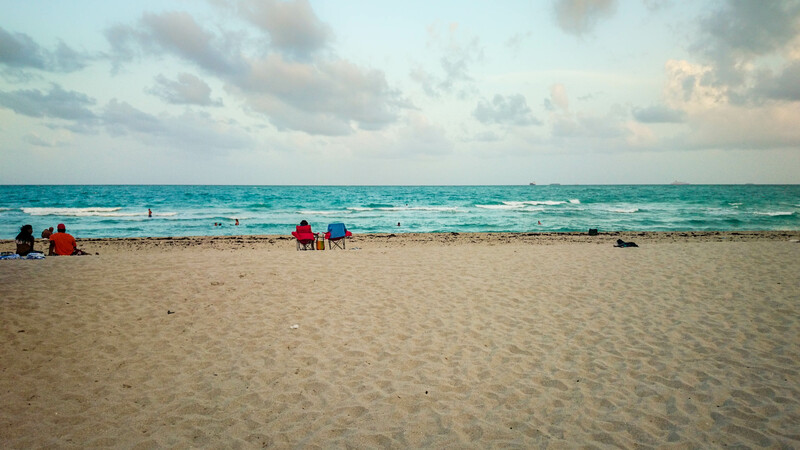 Address: 4100 Collins Ave, Miami Beach, FL 33140, United States. Just a short walk away from the beach but you have to take a bus going to the popular roads for shopping and parties. 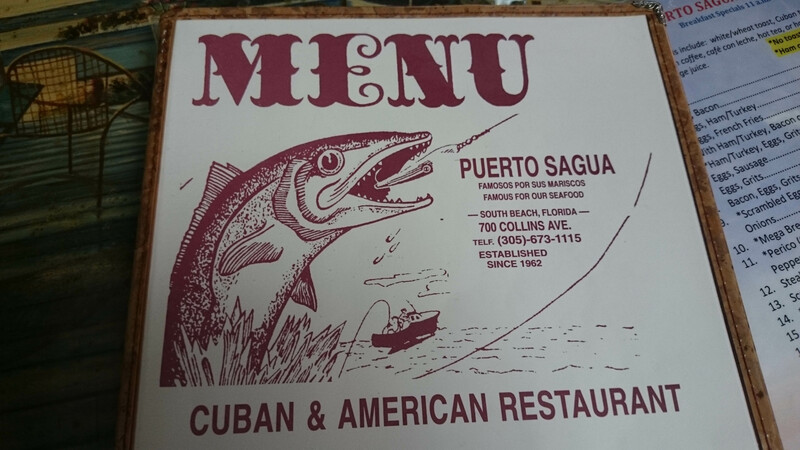 My favourite restaurant among all I’ve tried in Miami. . Puerto Sagua. . Cuban food is ❤ ! a resto/pub in Ocean Drive at daytime. I looove Miami! 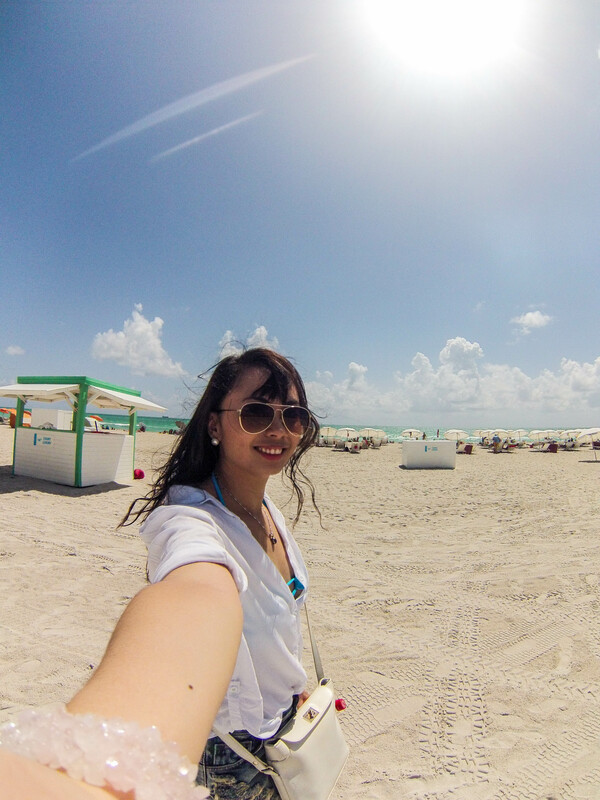 South Beach is just amazing, so much fun!